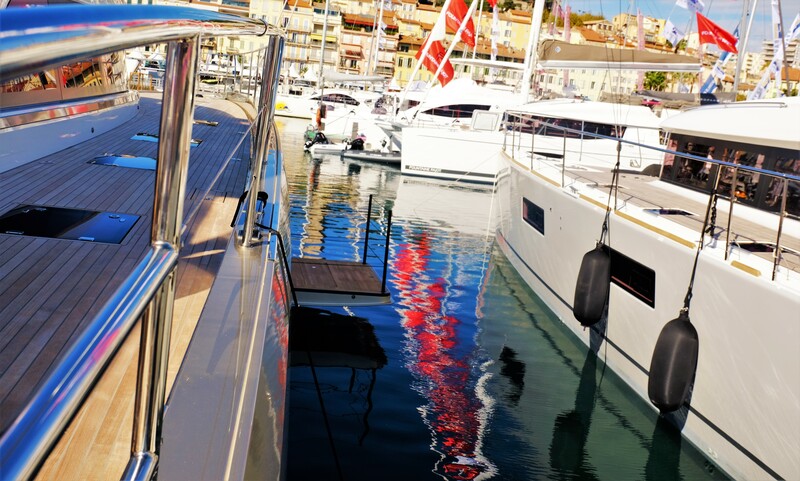 Since 1984, Lagoon have produced over 3,000 sailing catamarans globally, firmly placing themselves as one of the leading pioneers within the industry. In more recent years they have been at the forefront of the catamaran world and they continue to push the limits of innovation and quality. So, how has Patrick and the rest of his design team attempted this and has it been successfully achieved? 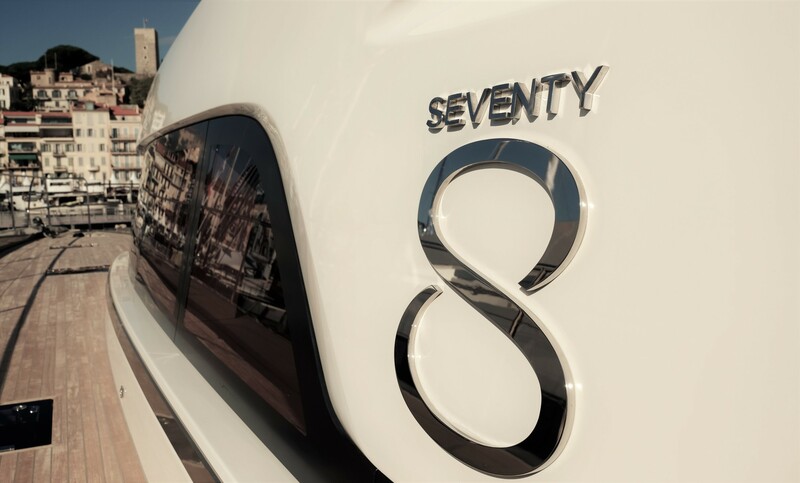 Our brokers went to the international launch of the Lagoon Seventy 8 at the Cannes Yachting Festival 2017 to check it out. From the get-go, we were completely enchanted by the Seventy 8. Stepping aboard, we were greeted by a large wooden dining table, complete with super comfortable seating pads, we couldn’t help but fall in love with her effortless style. 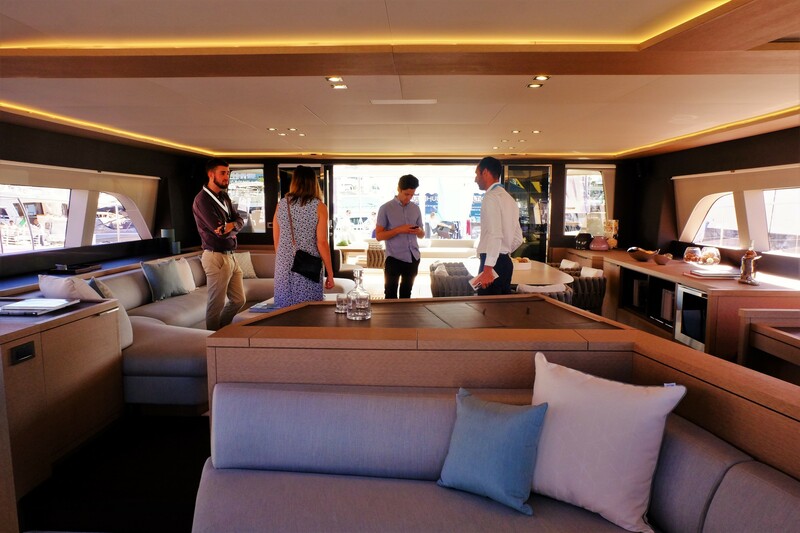 Walking into the cleverly compartmentalised saloon, it was obvious to see why Lagoon has become serious competition for the builders of luxury power catamarans. Two large corner sofas dominate the living area – perfect for relaxing evenings with family. The innovative design of the saloon allows for further sofa space whilst keeping the Captain’s controls separate from guests. Head downstairs into the Master Cabin and you will notice that the elegant interior styling flows seamlessly throughout, with subtle trim lighting adding a modern edge. Without a doubt, the highlight of the Master Cabin is the drop down hydraulic balcony. This space allows for total privacy; your own personal platform for gazing out onto breath-taking views, peer through the glass floor and you may be lucky enough to catch a glimpse of the kaleidoscopic sea life in the crystal-clear waters below. 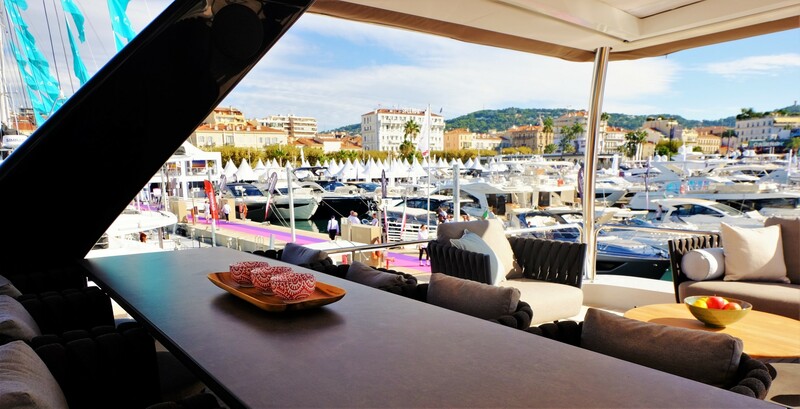 The flybridge provides another shaded platform for dining and enjoying the surroundings as well as a bar for endless cocktails and canapés. The Lagoon Seventy 8 is seriously impressive and stylish, we’re hooked! What’s changed from the Lagoon Seventy 7? What we believe has been achieved in the Lagoon Seventy 8 is the outstanding and innovative use of space on the bow, never seen before on their previous models. 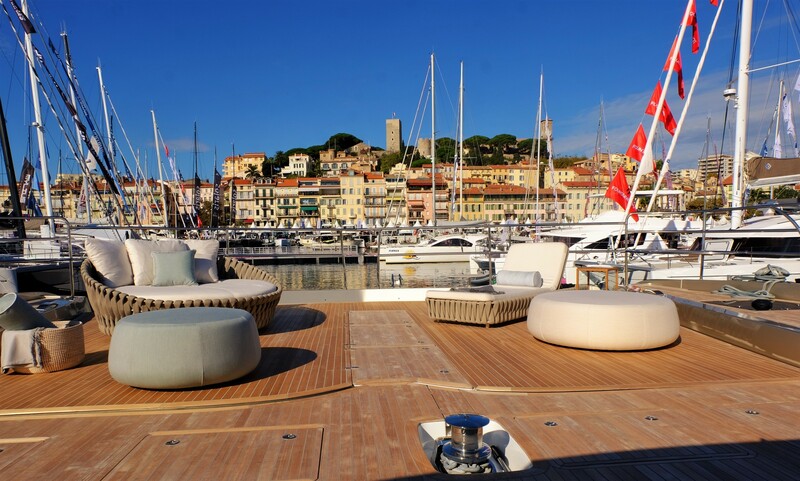 For example: on the Seventy 7 range, the bow is dominated by duo netting for sunbathing, whilst the Seventy 8 has opted to replace these nets with teak decking and beautifully appointed sunpads and puffer-stools, resulting in both aesthetically pleasing and ergonomically advanced effects, as well as opening-up the space. So, the question is, has Patrick and his design team achieved what they set out to do? Does the Lagoon Seventy 8 host features of emotional charm and architectural breakthroughs? 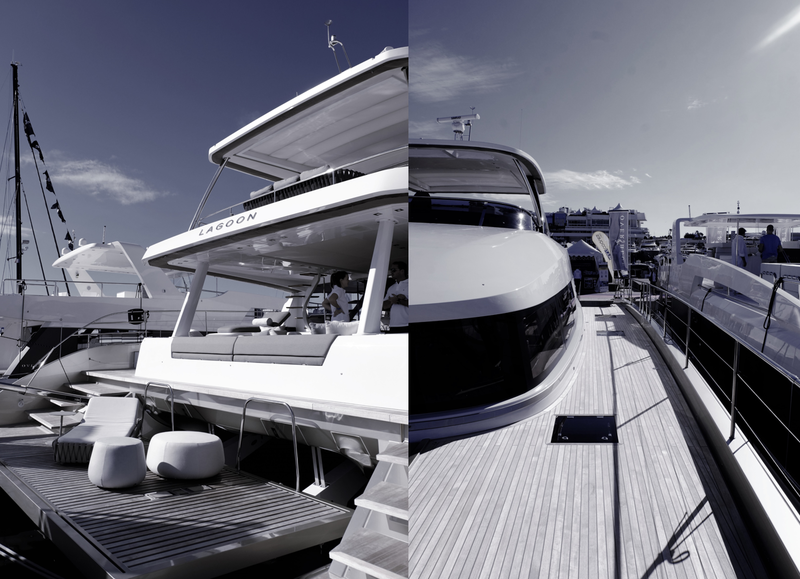 Overall, our brokers unanimously agree that the new Lagoon line is 78ft’ of expertly designed, yachting perfection. From aft deck to bow, from master cabin to the four-peak cabin, from the state-of-the-art entertainment system to the silverware; the Lagoon Seventy 8 is simplistic innovation at its finest. 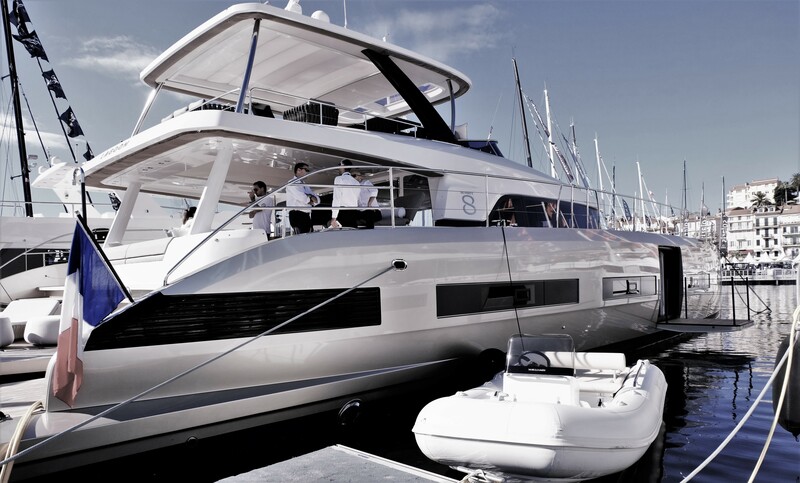 Watch this space for Lagoon Seventy8’s debut into the charter market, we can’t wait to get our hands on it!